Hamstring strain injuries (HSI) are one of the most common injuries in many sports such as football, soccer, rugby and basketball. A review of the 2016-17 English Premier League season showed that HSI had the highest injury occurrence rate among all injuries with the most days missed among all injuries, and an AFL team can expect at least 6 HSI per season. Not only do hamstring injuries commonly occur, they have high recurrence rates with up to a 30% recurrence rate within the same season. This time of year we see plenty of HSI among amateur athletes, and we assume that many more of these injuries occur that we don’t see, whereby amateur athletes just treat with a ‘rest, wait and see, then return to play’ management. Because of this the recurrence rates are much higher in amateur athletes. Although proper rehabilitation does not guarantee returning to play without a future recurrence, your risk of re-injury can definitely be reduced. There are many risk factors for hamstring strain injuries (HSI), some modifiable and some non-modifiable, however, certain strength programs/exercises have been shown to off-set non-modifiable risk factors such as age and previous hamstring strain history. The Nordic Hamstring Exercise (pictured below) is one exercise that has been shown to reduce hamstring strain injury risk by around 70%. This is because it increases eccentric hamstring strength, as well as increasing muscle fascicle length, which research has shown to be risk factors for HSI. Simply performing Nordic hamstring exercises regularly during pre-season and in-season can reduce risk of new injuries by around 70% and recurrent injuries by around 85%, therefore we recommend these exercises be part of a routine post-training exercise program during pre-season and continued in-season. Performing these exercises will take all of five to ten minutes, and will definitely give you ‘bang for buck’ in terms of injury prevention for HSI. Another risk factor is a rapid increase in high speed running, which causes the hamstrings to fatigue, placing them at greater risk of injury. Therefore it is common this time of year (early in the season) to see a player who has missed a lot of pre-season training, only to start turning up when the season occurs, therefore increasing their high speed running workloads at placing them at risk. Therefore progressively building running loads has an adaptive effect on the hamstrings that reduces fatigability and reduces risk of injury. Some of our Physiotherapists work at elite sports teams, where many injury prevention programs are implemented and monitored regularly. For example, many teams use a Nordboard (Pictured below while testing Port Adelaide football players), which is a device that measures eccentric hamstring strength during a Nordic hamstring exercise. This helps us to determine who is ‘at risk’ and whether more attention to prevention of these injuries needs to occur for certain athletes. High speed running is recorded via GPS during training/games to monitor and safely progress high speed running workloads, and although this cannot be monitored completely accurately at an amateur level, players can certainly be advised by a Physiotherapist on the required amounts of running ‘roughly’ needed to minimise risk of injury. SO, having said that, let’s say these injury prevention strategies do not occur and a player strains their hamstring…. What now. Well, performing an effective rehabilitation program has been shown in a number of studies to reduce re-injury risk. Once a HSI occurs the muscle becomes weaker, therefore it needs to be strengthened properly. Also, the ‘rest then play when feeling better’ form of management commonly seen in amateur athletes causes another rapid increase in high speed running, therefore placing the player at higher risk again. Therefore proper assessment and diagnoses of a HSI should occur straight away, as different grades of injury have different return to play times. For example, a grade 1 injury should see the player return to play in around 21 days, whereas a HSI involving the intramuscular tendon has significantly longer return to play times of 70-84 days and also has significant re-injury rates. An MRI is also needed for correct diagnosis if a more severe injury is suspected, or an injury involving the intramuscular tendon. 1– Have your hamstring strain injury assessed properly. Correct diagnosis will give you a guide to return to sport timeframes, but more importantly correct diagnosis will guide your management and rehabilitation program. 2– Make sure your rehabilitation includes correct strength exercises, that target the specific hamstring muscle that has been injured. Eccentric exercises (muscle contracting while lengthening) have been shown to improve strength more effectively and reduce re-injury risk. These exercises should be pain-free and should be progressed rapidly but safely during the rehabilitation phase. 3– Make sure your rehabilitation includes running, especially high-speed running. Running should be pain free and progressed gradually. 4– No matter how good your diagnosis and rehabilitation is, there is always risk of re-injury, especially in the first 3-4 weeks after returning to play. Strength exercises should not only be continued for this 3-4 week period, but for the rest of the season. 5– Pre-season should include Nordic hamstring exercises performed with a partner and as part of a team injury prevention program. As these exercises are quite fatiguing, they should be performed after training. Correct diagnosis and a guided rehabilitation program is a must for hamstring strain injuries, due to their high recurrence rates. Although this does not guarantee no future injury to the hamstrings, it will reduce your risk of re-injury. 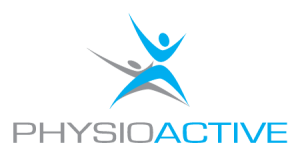 Our Physiotheraists have rehabilitated hamstring strain injuries at elite sports teams, therefore we are we equipped to help amateur athletes get back on the park with as little risk as possible! Moen, M. H., Reurink, G., Weir, A., Tol, J. L., Maas, M., & Goudswaard, G. J. (2014). Predicting return to play after hamstring injuries. British Journal of Sports Medicine, 48(18), 1358-1363. Opar, D. A., Williams, M. D., Timmins, R. G., Hickey, J., Duhig, S. J., & Shield, A. J. (2014). Eccentric hamstring strength and hamstring injury risk in Australian Footballers. Medicine & Science in Sports & Exercise, 47(4), 857-865. Warren, P., Gabbe, B. J., Schneider-Kolsky, M., & Bennell, K. L. (2010). Clinical predictors of time to return to competition and of recurrence following hamstring strain in elite Australian footballers. British Journal of Sports Medicine, 44(6), 415-419.